Work On Your Business...Not In It! Small business owners do all this work not because they should, or because they need to, but because they think they should. Because they think they need to. They believe that if they didn't do it themselves, the work would never get done. If you want your business to become more than it is, you have to think of your business as something completely separate from you. You need to think of your business as though you were going to franchise it. If you want your business to become more than it is, you need to think of your business as if it were a product that you're inventing. A system that you're going to create. A completely integrated system that works exactly the same way, every single hour of every single day. A business that doesn't depend on you at all. What would your life be like if your business did not depend on you? Check our Facebook Page or Contact Us to learn the other 3 secrets. Want to read the full publication? Email us, we're happy to share! GD Design Studio works with business owners and marketing teams to define their company, services and products. 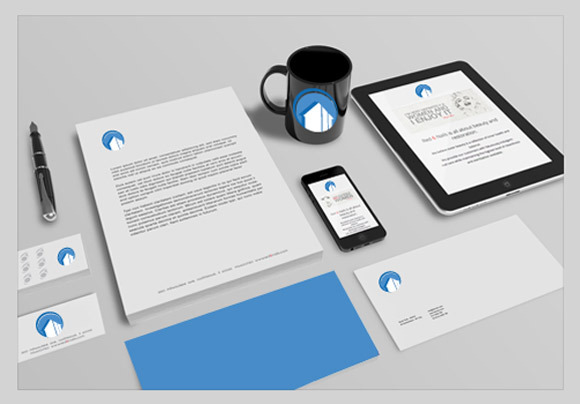 Contact Us to discuss ways to create or improve your brand. We'd love to help you succeed! 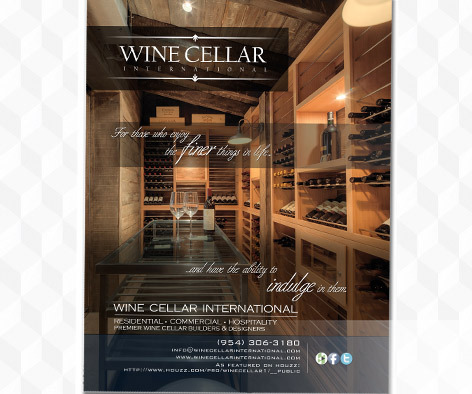 Kudos to Wine Cellar International for continuing to impress South Florida with breathtaking custom wine rooms and wine cellars that are second to none. We're honored to be a part of WCI's success as they continue to grow and serve the international market!